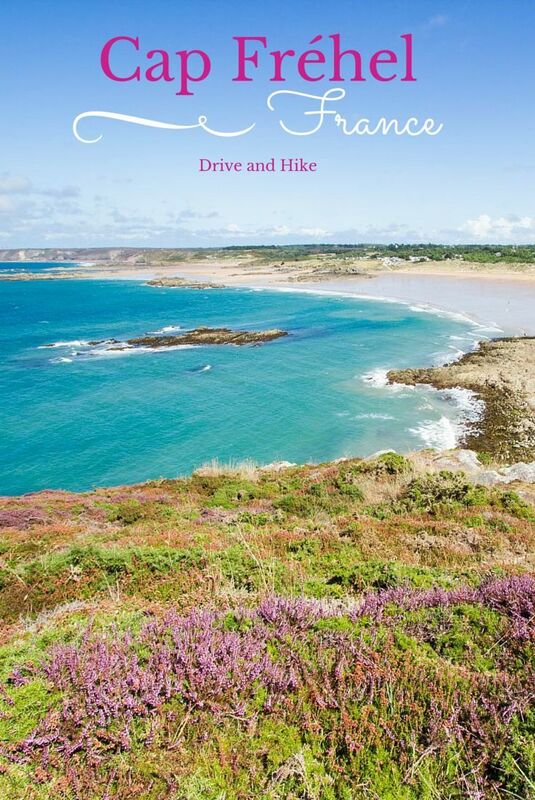 Have you ever been to northern France, specifically Brittany? We rented a cottage for a week in Brittany and enjoyed eating mussels and oysters, trying out the famous galettes or savory crepes, walked through some amazing cities like Quimper and St.Malo. We also took a drive and a hike around the stunning Cap Frehel, not far from the town of Dinard. Almost the entire coast of Brittany is lined with rugged cliffs high above the water. 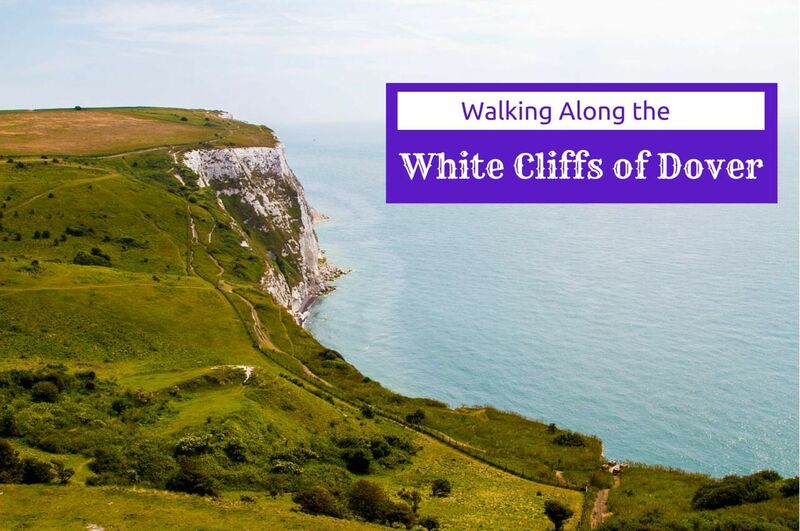 The waves are constantly working away at the cliffs, especially during high winds and storms, and in many places you can see how the underside of the cliffs have eroded. Where there is an inlet or bay that is a bit protected from the harshness of the sea, the water is still, turquoise and very inviting. Cap Fréhel is a very popular destination, and we were far from the only visitors that day. The drive wasn’t a problem, and we found parking at all the pullouts, but we did not go on a weekend so that may have made a huge difference. Along the route, there are brown signs indicating the direction of the two lighthouses. One was built in the 17th century under King Louis the XIVth’s reign by a builder who worked for the famous fortress architect and genius, Vauban. There was also one built much later in 1950. The newer lighthouse, for an entry price of 2 Euros, allows you to climb the stairs to the top for an amazing view. The parking lot for the lighthouses was completely full, and we drove around a bit looking for a space. The landscape of the cape was stunningly covered in a colorful moorland. A moorland is a habitat of low-growing plants on acidic soil. The ground here is unstable and therefore there are very few buildings on the Cap. This moorland has many plants, but it is primarily covered with a fuschia-hued heather along with some other brilliant flowers. From the lighthouse parking lot, there are a number of walking paths that meander through the moorland and hug the coast. Even though we wandered for a couple of hours, admittedly we didn’t make much ground, because we took so many photos. A little further along the route there is a parking lot and a path to the fairytale Fort La Latte, also built in the 17th century. In case you were wondering, there is a little café and you certainly can get a latte! A beautiful day in nature, it was definitely one of our highlights as we explored Brittany. 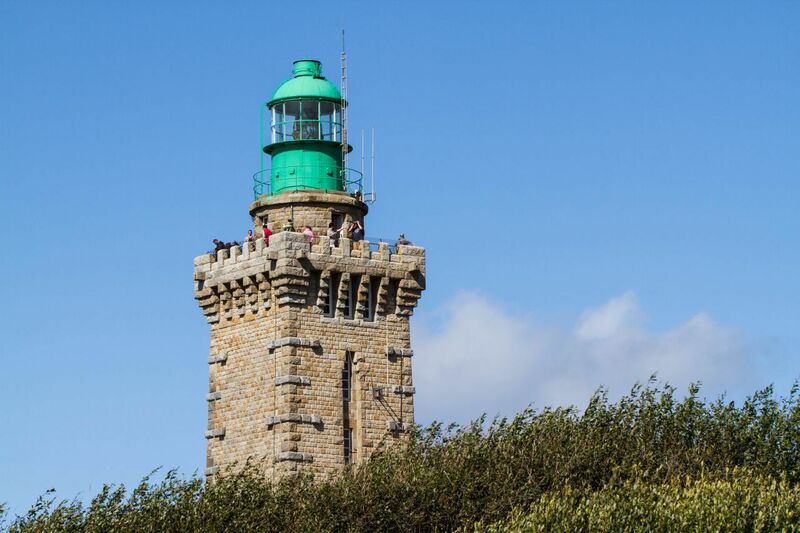 Have you been to Cap Fréhel? Beautiful photos, I love the pretty flowers! Thanks Becky. It was a stunning landscape, difficult to take bad photos! We went to Brittany in 1982! I know we went to Dinard, but don’t remember this. It’s beautiful. Anabel, It really is beautiful. I could have spent my whole vacation there. Suze, Wow, what a beautiful place to live. I would love to spend more time there…it’s gorgeous! Your photos are so beautiful! We’ve bypassed this part of France twice and it’s not something I hope to skip over again! Emily, it took us some time to get to Brittany as well. We’re glad we finally made it! Nice photos, we are planning some crazy hikes in the area next year. Cant wait! David, Do not miss out on Cap Frehel…it’s stunning! One of my favourite place to take people who are visiting me to. It’s so lovely, your pictures are gorgeous. 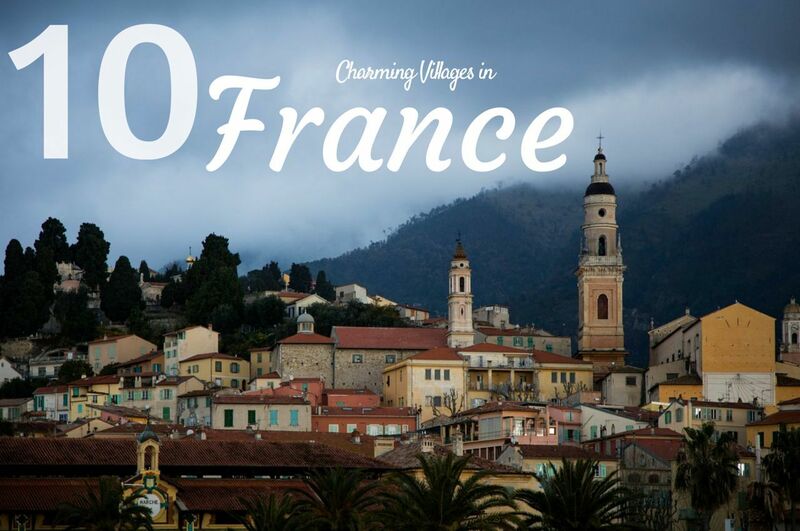 Magali, you’re so lucky to live in such a beautiful part of France! Do you have a favorite restaurant that you always take visitors to? Diane, I love Brittany, but I have to say, I’m surprised everywhere I go! So incredibly beautiful! Will note to include this place next time we are in Brittany! 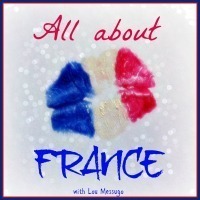 Great post on #AllAboutFrance! Rosie, It was our first time and we loved it. We’ll have to go back. When we lived in Paris we went to Brittany often but I must admit I haven’t been to Cap Frehel. I love the west of France, it’s so rugged and wild compared to my south east coast, but then I love pretty much everywhere in France! Thanks for linking up again Corinne. Phoebe, It is wild and beautiful…Yes! France is pretty amazing all over. Absolutely gorgeous photos! I LOVE this place. We vacationed there last summer. Maria, It really is a gorgeous place!